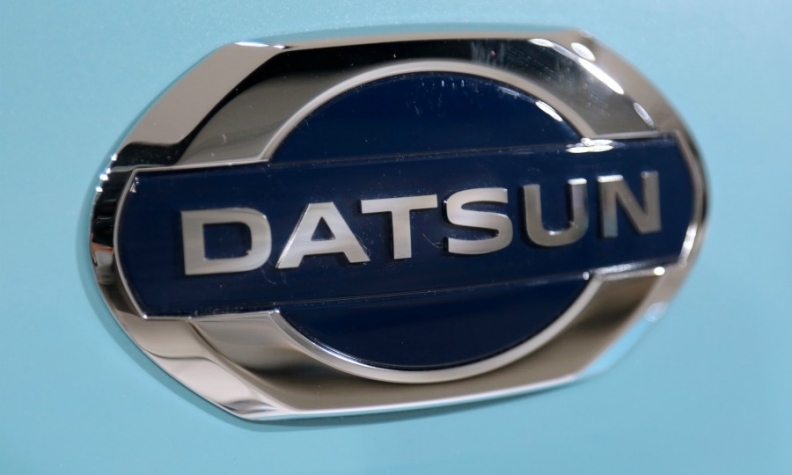 TOKYO -- Nissan Motor will resume building and selling cars in Pakistan next year, with its entry-level Datsun brand becoming the latest global automaker to operate in a market tipped to expand in coming years as vehicle ownership increases among a growing middle class. The automaker said in a statement it would start producing Datsun cars at a plant in Karachi owned by partner Ghandhara Nissan, which will invest 4.5 billion Pakistani rupees ($39 million) to upgrade facilities after Nissan ended local production in 2010. Nissan joins automaking partner Renault, along with Hyundai Motor and Volkswagen Group, in announcing increased presence in Pakistan after the government in 2016 introduced policies to promote growth in the auto industry, dominated for decades by Japanese automakers including Toyota Motor and Honda Motor. With a population of nearly 200 million people and growing, Pakistan is a market with big growth potential, posting annual sales of 200,000 cars in 2017, up 60 percent from 2014. That compared with sales of more than 2 million passenger vehicles a year in neighboring India, which has a population of 1.3 billion. "There's a big population and the level of [car ownership] is low. It's a good-sized market that is growing," said Peyman Kargar, a senior vice president at Nissan who heads operations in Africa, the Middle East and India. Kargar added that the country's annual sales were likely to grow to 300,000 by 2022. The Ghandhara Nissan plant, which has an annual capacity of 6,000 vehicles, would produce "several (Datsun) models based on the same platform to optimize the investment,” Kargar said, declining to name specific models. In neighboring India, Nissan markets its Datsun Go series of compact hatchbacks and people-carriers, while it launched its new Cross compact SUV in Indonesia earlier this year. Nissan will contribute technical assistance in the upgrade, while the automaker will also assess and assist local components makers in supplying parts. Kargar said he hoped local parts would initially comprise around 20 percent of vehicles, increasing afterwards. Comprising 6 percent of global sales, Africa, the Middle East and India is a growth area for Nissan, and Kargar said he expected to double the region's contribution to overall sales by 2022. Nissan's bet on Datsun to succeed in Pakistan comes as increasing sales of the entry-level brand has been a bright spot in India, a highly competitive market where the automaker's market share has eased to about 1.6 percent due to sluggish demand for its marquee Sunny sedan and its SUVs. In the 11 months to February, Nissan posted an 8 percent fall in overall Indian vehicle sales.